Custom Paper Toys, I decided to put together a paper cut-out template of our fine feathered friend, Phoenix, that you can cut out and assemble yourself! To begin, open the Paper Phoenix template here. Feel free to make any edits you desire using Raven's powerful vector drawing tools. New to Raven? Here's a tutorial on the basic functions of Raven to help you get started creating vector art. Then, save the image to your computer using the File > Export > Export Bitmap function then follow the onscreen instructions to save the image. Print the downloaded image on your printer (refer to your printer documentation if you don't know how! ), preferably on card stock. Next, cut the individual pieces out and perforate the slits marked on the pieces by short black lines, using an X-acto knife. Then it's all a matter of assembling the figure! Begin by gluing, or taping, tab A to the inside panel of the head shape. Close the box by affixing the B and C tabs to form a box for the head. For the body segment, glue tab D to the inside panel of the body to form a box as well. Fold down the tabs on the leg segments and glue tabs E and F to the inside panel of the body to form the figure's legs. Insert the arm segments into the sides of the body, and place the tab on the egg into the slit on the Phoenix's left hand. Finally, attach the head and body segments together by inserting the J tabs into the slits on the bottom of the head segment, and insert the K tab located on the headdress segment into the slit on the head to complete the piece. Just because Aviary is a suite of web-based design tools, it does not mean you're limited to digital designs. I'm hoping this post can kick start your own ideas of other real media projects you can create using Aviary. In this post, I'll be showing how to correct common photo problems using Phoenix, Aviary's free, online Image Editor. So you won't even need expensive photo editing software! Help! My photos are too dark! One of the most common problems users run into is with exposure. For extreme cases of photos being overly dark or bright, you may need to re-shoot your photograph. But often times, you can adjust the brightness in Phoenix. First, launch Phoenix and select "Load existing file" to upload your photograph into the program. I would recommend doing your adjustments on a duplicated layer (Layer > Duplicate Layer), so you"ll always have your original photo on a separate layer in case you want to undo the adjustments you made. To adjust the brightness of your photo, open the Brightness & Contrast dialog from the Image tab. Slide the Brightness slider to the right to make the image brighter if it's too dark, and slide it to the left to make the image darker if your photo is too bright. Additionally, you can raise the Contrast by using the Contrast slider as well. When you are satisfied with the results, click Ok to apply the adjustment. My photos are too blue! Often times, taking your photos in natural light may create a blue cast over your image. You can fix this problem by adjusting the channel levels in your photo. Open up the Levels dialog from the Image tab. In the Levels dialog, you will see a preview of your image with your Levels adjustments, on the fly. Select Blue from the Channel dropdown. You will see three sliders in the dialog. Slide the midpoint slider to the right, which will control the brightness and darkness of the selected channel. The left slider will control the lightest areas of your channel, while the right slider will control the darkest. Play with the settings until the blue cast is removed from your image, then click Ok to apply the adjustment. You may also need to raise the Brightness & Contrast (from the Image tab) to fix the overall exposure of the image. Alternately, if you find your indoor photos appear to have a yellow cast, you can adjust the Red and Green Channels in the same way. How do I create clean white backgrounds in my photos? It is desirable to use clean, simple backgrounds for your products, as not to distract from your items. To enhance the brightness of your white background, first adjust the Brightness & Contrast (from the Image tab) of the entire image. For my image, I raised the Brightness by 20 and raised the Contrast by 33. You can also use the Paintbrush Tool with the foreground color set to white to spot clean any undesirable areas, such as creases. Create a new layer (Layer > New Layer) and use the Paintbrush Tool to paint directly over the areas you want to "white out". How do I create Depth of Field in my photos? Using the Blur Tool, you can blur distant elements in your photos to create the appearance of depth of field. The Blur Tool can be found docked with the Smudge Tool. Select the Smudge Tool to bring up the tool's options flyout, then select the Blur Tool. Paint over the distant elements with the Blur Tool, set with a lower Hardness level of 10-20, to create the effect. How do I crop my photos in Aviary? Cropping photos in Aviary is a simple job! To crop your photo, select the Rectangular Selection Tool and drag it around the area you want the image to crop to. Don't worry if you are not happy with your selection. You can always deselect (Select > Deselect) and try again! Once you are happy with the selection, select Image > Crop Selection to crop your image to your desired area. Etsy will resize your image to 430 px wide in your listing, so make sure your image is at least that size or larger. To check the size of your image, select Image > Resize Image to check the proportions of your image. Etsy will also generate 155 x 125 px, and 75 x 75 px thumbnails from the center of your image, so be sure to include all the pertinent elements of your photo where it won't be cropped in the thumbnails. How do I sharpen my images? To create a nice, crisp look to your photos, you can sharpen your photos a couple different ways. The first method is to simply duplicate your layer (Layer > Duplicate Layer), and apply the Sharpen filter to it. The Sharpen filter can be found under the Filter tab. The filter will apply a very harsh sharpening effect to your layer. But don't fear! By adjusting the Alpha of this layer from the Layers panel, you can adjust the amount of sharpening you apply to your image. Phoenix also allows you to sharpen only the edges of your image. 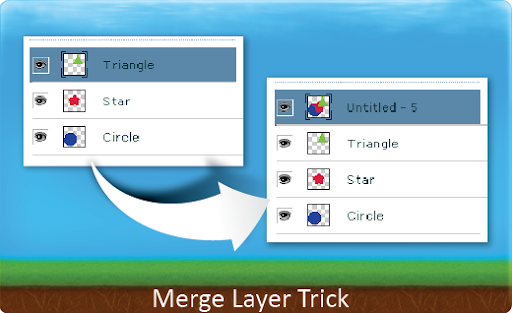 Instead of applying the Sharpen filter to your duplicated layer, apply the Find Edges filter. The image will look all funky at first, but do not feat! Simply set this layer's blend mode to Screen from the Layers panel to apply precision sharpening! When you're finished editing your photo, select File > Export Image to export your creation to your computer all shiny and ready to upload to Etsy! As each image will need a different approach to processing, the best practice is to experiment with the various methods and see what's best for your particular photo! You can upload up to five photos per item, so play around with different angles and crops to give your buyers as many views of your items as possible!